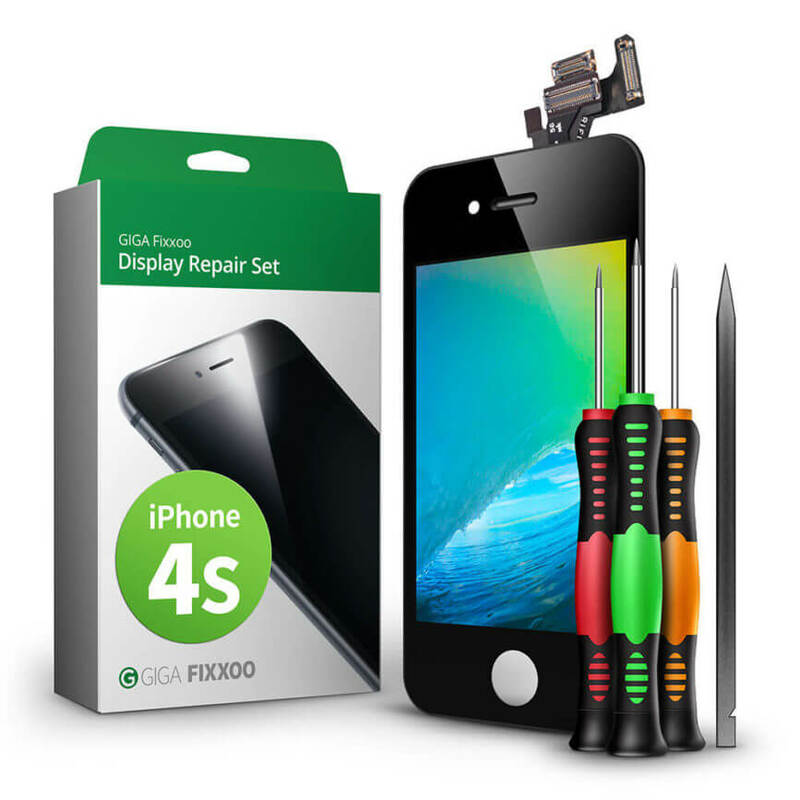 You don’t have any spare parts for your device yet?Buy now! 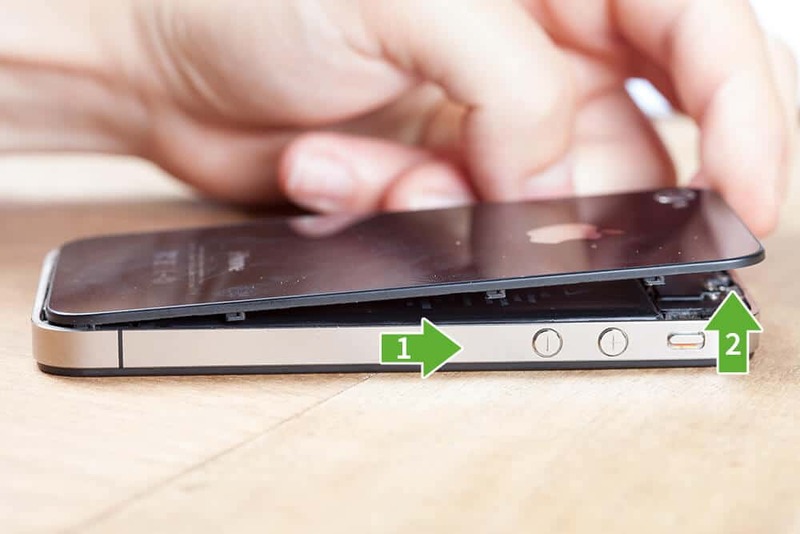 Use the following picture guide to easily change the display on your iPhone 4s. You should make a backup of your iPhone before changing the display and then turn it off. 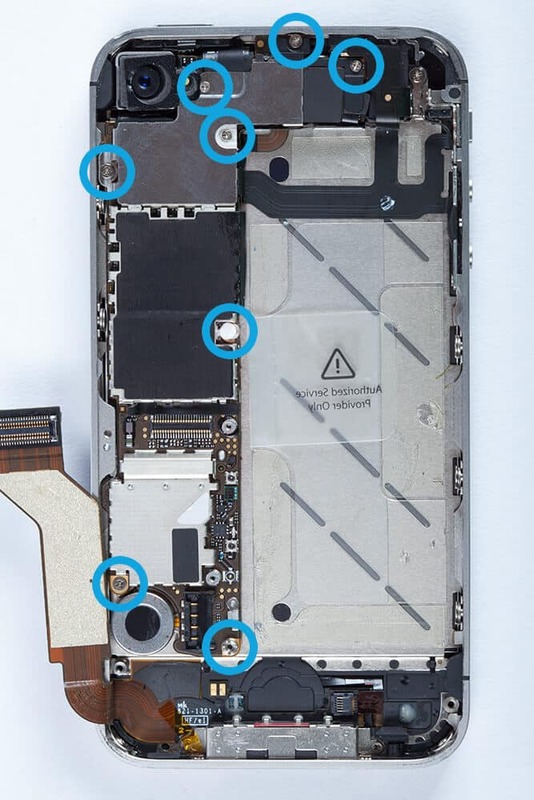 Remove your SIM card and tray. 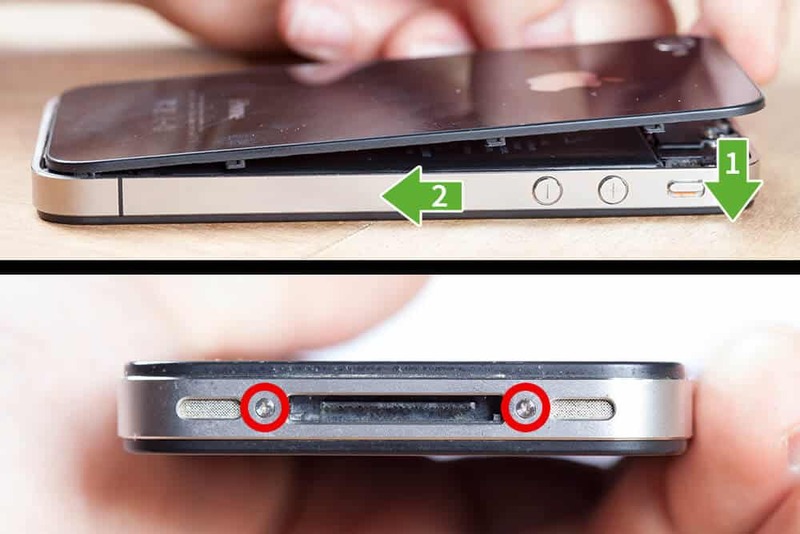 Then, remove these two pentalobe screws on the bottom of the device. Remove these screws and the connector using the plastic spatula. Be careful not to lose the small metal piece underneath it. It enhances your network connection. 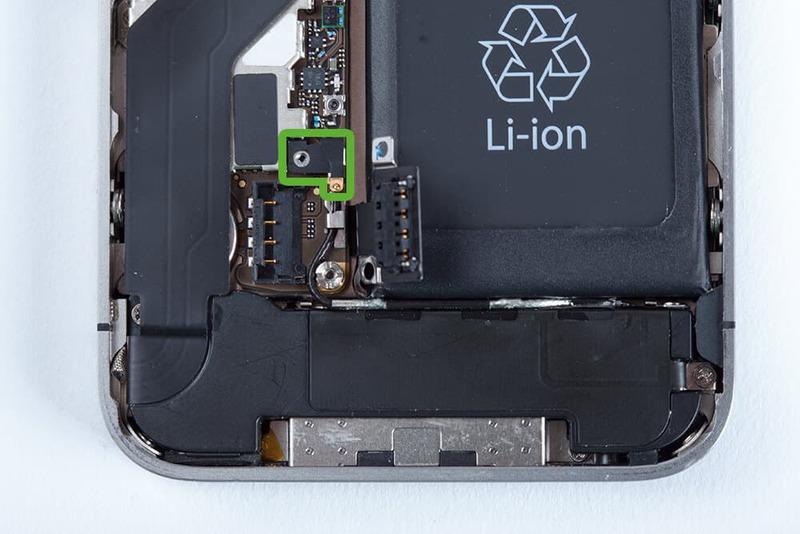 Remove the battery from the device. Use the plastic strap or carefully pry it out of the frame using the plastic spatula. diese Schrauben und den Konnektor. Darunter findest Du eine Metallspange. Bewahre sie gut auf, denn sie verstärkt die Leistung Deiner Mobilfunk-Antenne. Jetzt kannst Du den Akku einfach entnehmen. Sollte die Lasche reißen, kannst Du mit dem Plastikspatel vorsichtig etwas nachhelfen. Remove these two screws and the metal cover they secure. Detach the big connector using with the spatula and carefully bend it to the side a little, so that it will not be in your way later on. 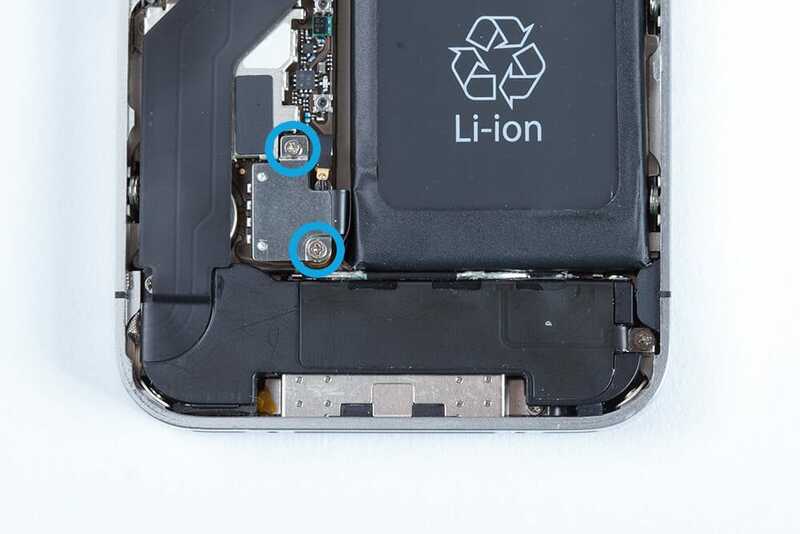 Remove this connector from the logic board. Be careful not to damage the small blue chip next to it. 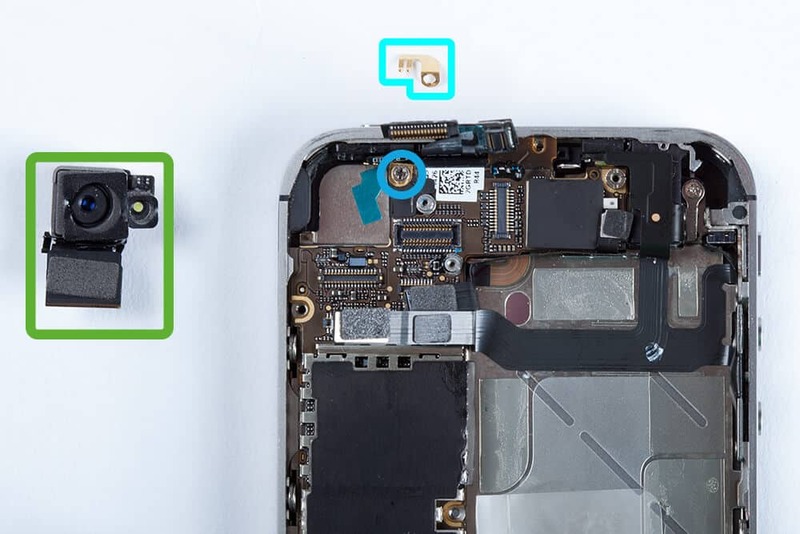 Remove these two screws and the speaker module they secure. Set aside the little black plastic triangle, you will need reinstall it later. Remove these screws. Then, remove the metal cover. 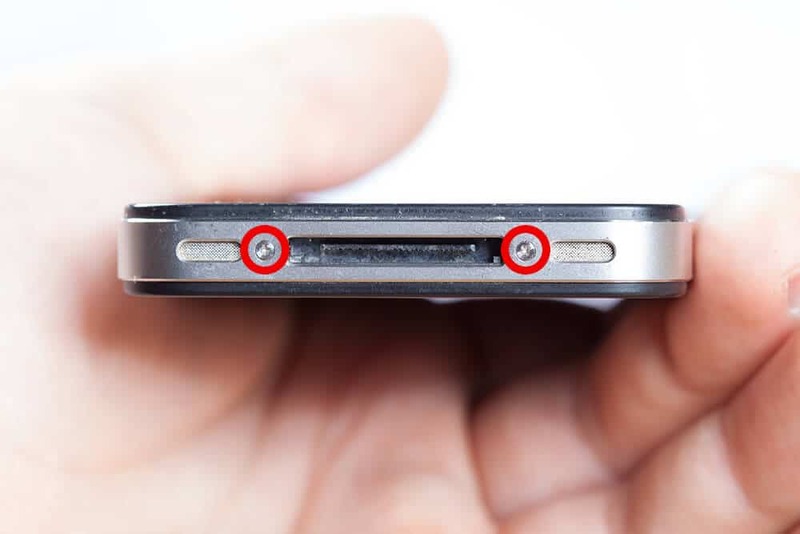 The screw in the upper right corner will detach another small metal piece which you also need to keep safe for later. This screw underneath the metal cover is in itself a thread. Remove it as well. Detach all of these connectors from the logic board. Carefully pry them off with the plastic spatula and bend them to the side a little bit. Underneath the longer cable you will find another connector to remove. 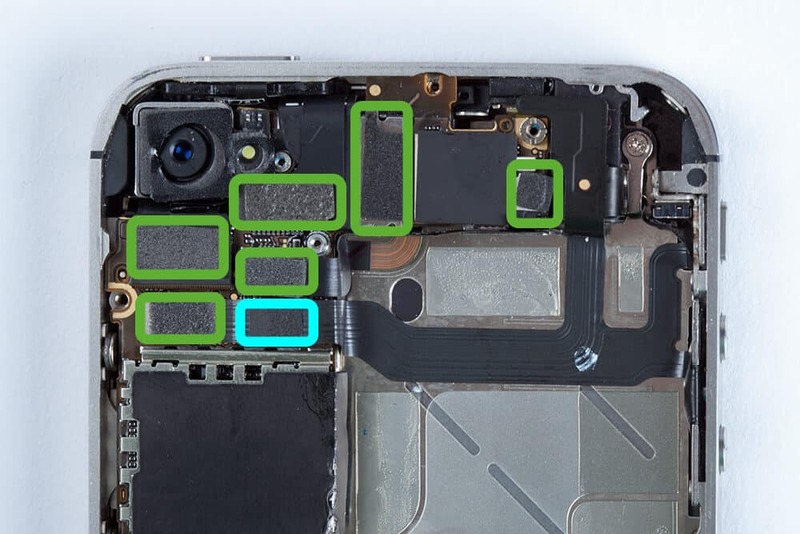 Once you have removed the camera connector, remove the whole module. Underneath the LED flash there is another important screw. Remove it and set aside the metal piece it secures. You can now remove the logic board itself. Grab it near the bottom and carefully pull up and back. Drive the flat end of the plastic spatula underneath the vibration motor in order to remove it. 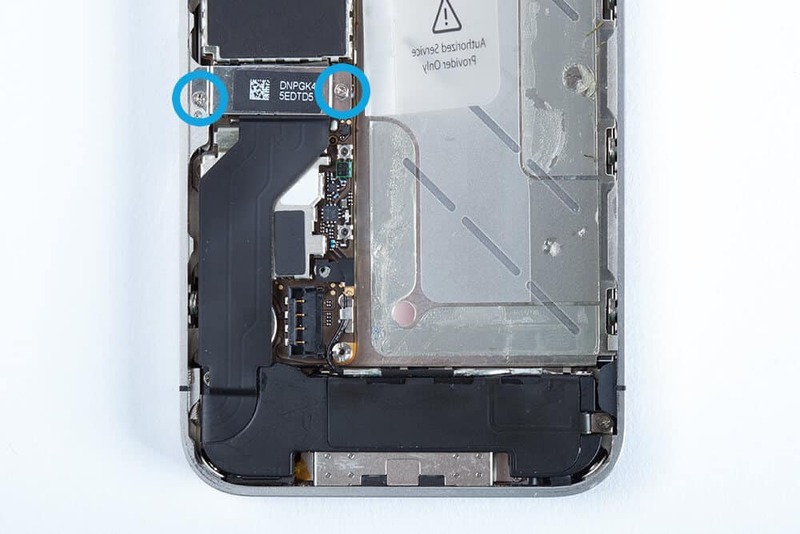 Remove these four screws in the corners. Note: One of them may be hidden behind a small black sticker. Make sure to not accidentally remove the wrong screw! Loosen these six screws along the inside of the frame. You do not need to remove them all the way. Remove the old display from the frame. Push down into one of the corners with the pointy end of the spatula. If necessary, insert the metal plectrum between display and frame to help loosen it. In case it will not stick to the frame, cut a piece of double sided adhesive tape to size and attach it to the bottom of the motor. Reinstall the logic board. Make sure none of the connectors are trapped underneath. 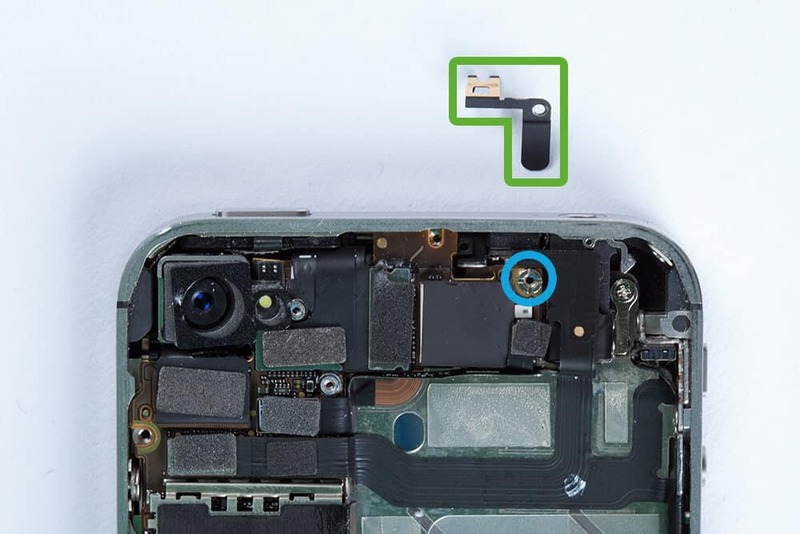 Before reinstalling the camera module, attach the screw here in the corner. 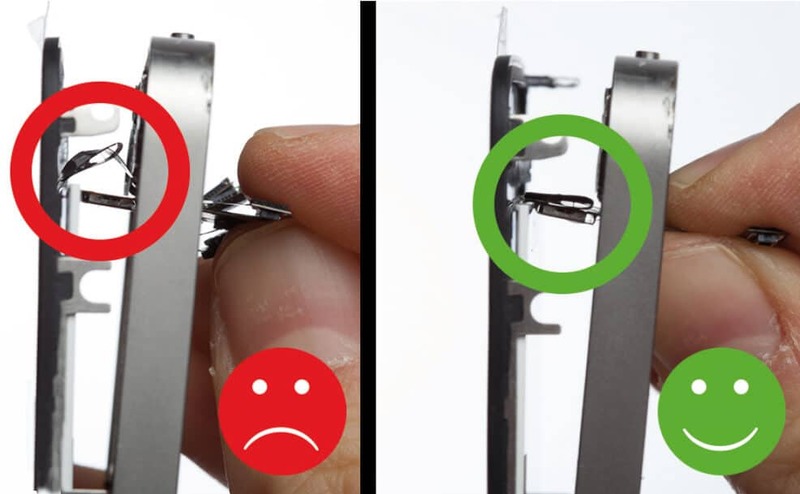 Make sure to reattach the small metal piece the correct way around. The longer side should face down, stuck between logic board and frame. The shorter side with the hole should point down towards the dock connector. Now you can reinstall the camera module and attach its connector to the logic board. Then, reattach the five small connectors and the two cables coming from the new display. If one of the cables seems too short, it is probably stuck between display and frame. Secure the logic board with these screws. Start with this slot screw. 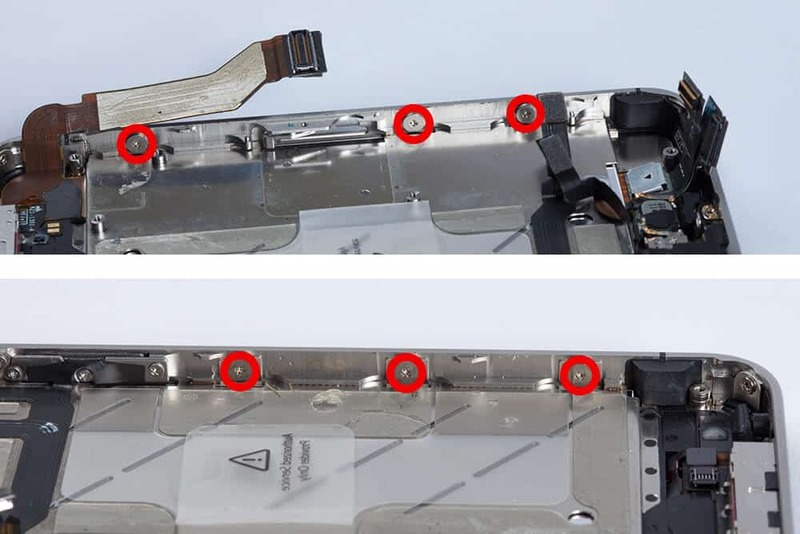 Do not forget the metal piece from the upper right corner. It is secured with a screw which uses the one below it as a thread. 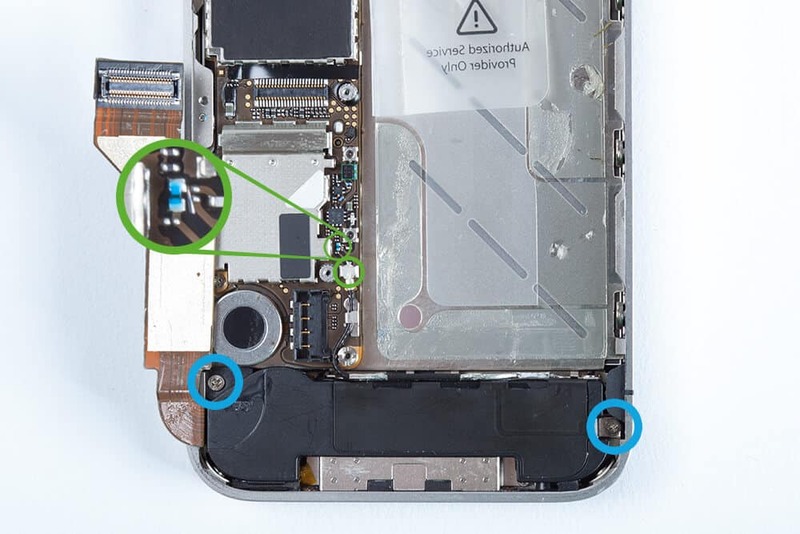 Reattach the metal cover and the remaining screws. Reinstall the speaker and secure it with two screws. Reattach the small antenna cable (again, look out for the small blue chip!). 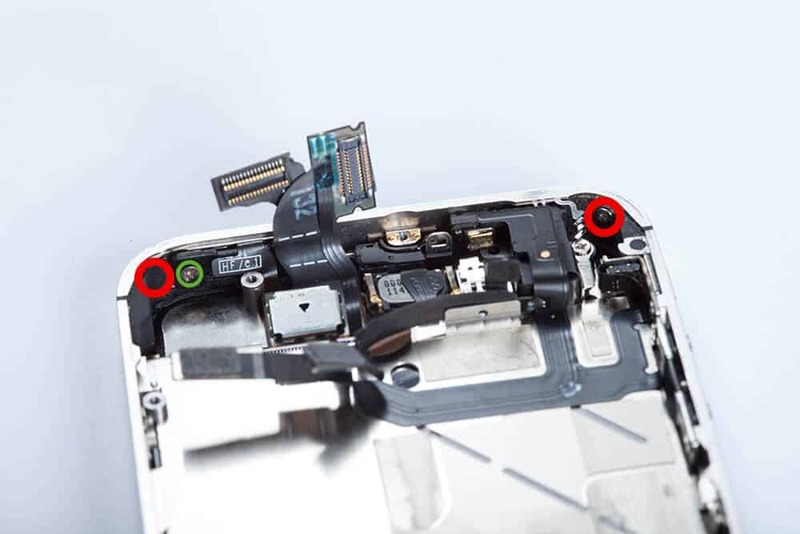 Place the small black plastic triangle onto the thread on the left after you have installed the speaker. Carefully bend the large cable back into place and attach it to the logic board. Secure it with a metal cover and two screws. Reinstall the battery. Attach the small metal piece and secure it with the connector and two screws.